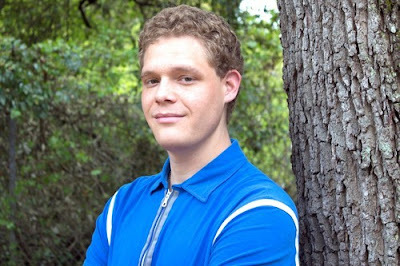 Tonight, Jay of The Media Blast sits down with actor James Tavelle for a one on one, brief but very informative interview about acting, his experience in showbusiness and his role in the new Amazon Prime film "The Ugly Friend" (written and produced by Felicia Rivers of Geechee One Films) among many other things. The Media Blast: Hello James Tavelle, how are you? Are you ready for the interview? James Tavelle: I'm great! Thanks for asking. And, yes, I'm ready. The Media Blast: Could you tell the readers a little about your role in the movie "The Ugly Friend"? Actress KATHERINE LANGFORD joins AVENGERS 4 Cast! Now moviegoers have more than 13 Reasons to see Marvel's Avenger's 4 Movie, now that budding young Aussie actress Katherine Langford (best known for her role as Hannah Baker on Netflix's "13 Reasons Why") will join the cast of the highly anticipated film slated for a 2019 release. No further information has been given as to who the young actress will play in the forthcoming film, which is no surprise because the title of the next Avengers film has yet to be released, however The Media Blast will provide additional details when they come! Keep coming back to The Media Blast for more news and updates. Charlotte Fitness Club introduces WELLNESS WAFFLES! FIT POWER NUTRITOIN, a Charlotte NC based community center, fitness club and herbal tea / protein shake bar gives it's patrons another reason to visit their establishment. Fit Power Nutrition introduces "Wellness Waffles", a special blend of waffles that includes various vitamins, nutritional elements and a special new ingredient.... Herbalife! 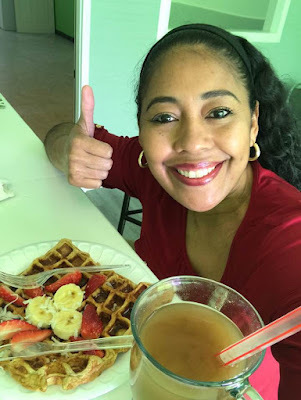 Not only are the new Wellness Waffles nutritional but with the addition of the new ingredients including the flavorful Herbalife protein powder the Waffles are also very delicious! ALSO SIGN UP FOR THE WEIGHT LOSS CHALLENGE AT FIT POWER NUTRITION, ASK FOR "COACH CARMEN"!